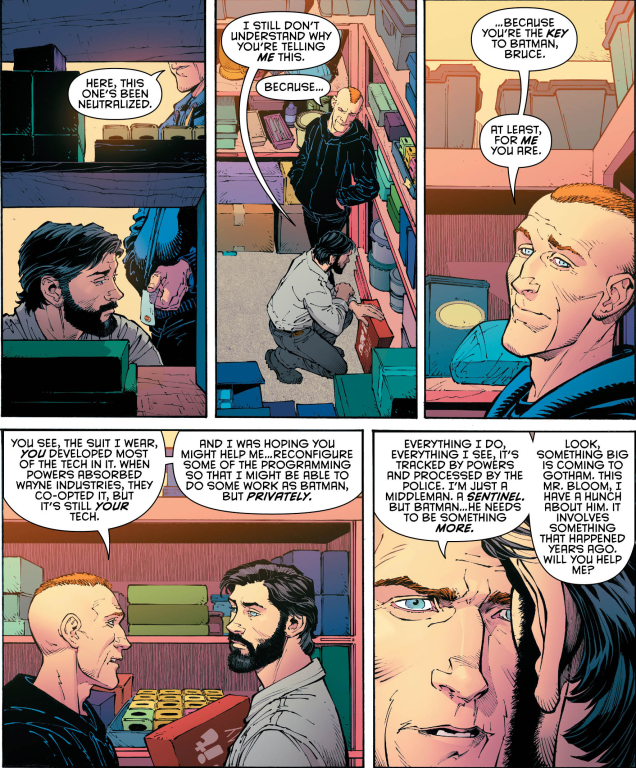 Batman #43 finally gave us our explanation on why current day Bruce Wayne is Mr. Happy all of a sudden, and the question is, is the old Bruce Wayne really dead and gone now? We also got some movement on the villain Mr. Bloom who is becoming a real horror character right now. So let’s dive into Batman #43! Ever since we saw that Bruce wasn’t actually dead a few issues ago there’s been many theories as to what happened to him, and issue #43 gave us our answer. But before we get to that let’s talk about Jim Gordon’s interaction with Bruce at the beginning of the issue. Before the New 52 it was implied at times that Jim knew Bruce was Batman, and I’m wondering if he knows now. Of course Bruce Wayne and his company had strong connections to Batman, but it was odd for Gordon to come to Bruce about this case. I think Jim Gordon might know that Bruce was Batman. That or he genuinely just wants Bruce’s help not knowing that he was Batman. But for me everything was a little too on-the-nose, suggesting that Jim might indeed know Bruce’s secret. Anyways back to what happened to Bruce. So my boy Clark Kent comes to Gotham to find out what happened to his good friend Bruce. It’s then that Alfred lays the hard truth on him. Bruce died that day after his fight with the Joker, but he was brought back by the dionesium. The dionesium seeped into his broken skull and healed him but also affected his brain. 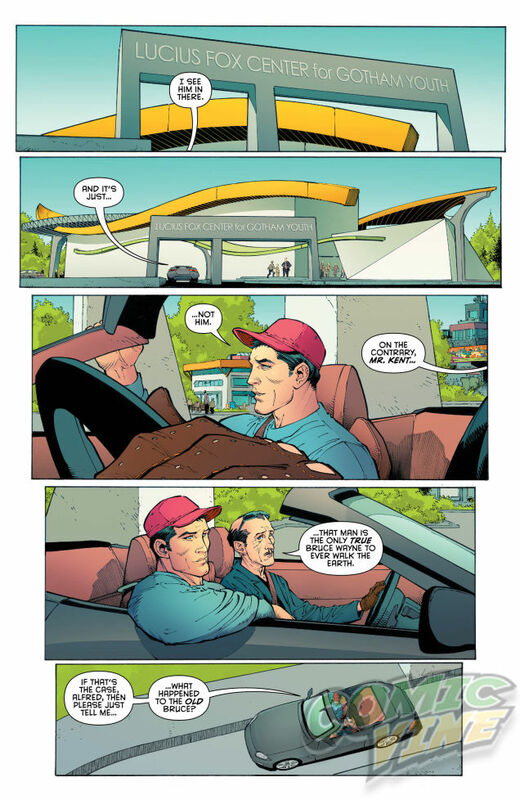 So it was Alfred’s horrible job to catch Bruce up with his horrible life. But before Alfred could get to the part about Bruce becoming Batman, Bruce decided he had heard enough. He wasn’t that person he once was and doesn’t want to live that terrible life. 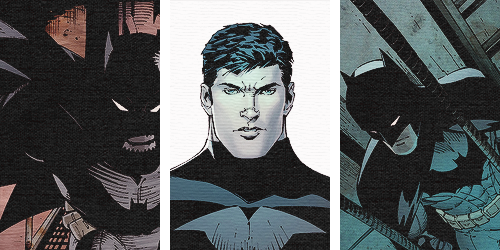 So Batman #43 basically gave us a Bruce Wayne who was able to move on from his parents’ death. It’s a pivotal moment as it completely recreates everything we once knew about Bruce. Bruce was a boy who was unable to completely move on from the tragedy that had fallen upon him, and decided to use that constant pain to become something more, to become Batman. But now that this Bruce Wayne is able to move on from his parents’ death, namely because he doesn’t even remember them, we’re getting a completely different man. We’re getting a man who is able to live a normal, happy life. A man who isn’t tied down to any tragedies. In Zero Year we saw that Bruce decided not to pursue Julie because he wanted to commit to being Batman. Now that he doesn’t have that commitment anymore he can live the life that Alfred envisioned for him earlier. And as much as it’s nice to see Bruce happy, it’s not something that I want to see long-term (sorry Brucie). Because maybe Clark is right, maybe Bruce deserves to know who he really was, the symbol of Batman that he created. The machine Bruce was working on before his accident shows his commitment to creating an enduring symbol out of Batman. It’s pretty whacky, creating duplicates of himself, and Alfred is right (you gotta love how much Alfred knows Bruce), as the beginning of the comic foreshadowed, it’s unnatural. It’s unnatural for Bruce to become this continuous resurrecting figure because at the end of the day he is only just a man. But it’s also unnatural for Bruce to be so separated from Batman. The question now is, where do we go with Bruce after Batman #43? Like Alfred said he doesn’t know he’s Batman but even if he did he doesn’t have the training or knowledge to be Batman. It seems as though we might get old Bruce back from the machine he started building. The machine supposedly gives the “new Bruce” all of original Bruce’s memories, tragedy and pain. And as Alfred said it’s that pain and mental scar that creates Batman, so Bruce needs to get his old scars back to be Batman again, and this machine will probably be the way it happens. We know that around issue #50 we will see Bruce as Batman again (nicely timing with the release of Batman v Superman) so what happens in the next 6 issues for him to return to his normal state again? Or will his returning Batman be very different from how he was before? The other big part of Batman #43 was Mr. Bloom. Now that is one scary looking dude. His character is still shrouded in mystery. We don’t know his identity, motivations or end goals. We just know that he isn’t someone to mess with, and that he has the capability to enforce great power. The theme of resurrection continues as he comes back after being shot by Penguin’s goons, bigger and scarier than ever. He implies that he has some kind of plan, we just don’t know what it is yet. 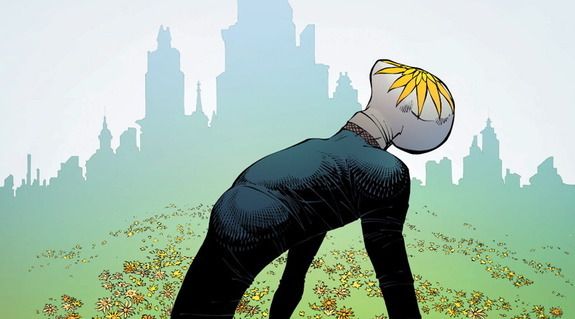 By the sounds of things we will get some answers about Mr. Bloom’s character in Batman #44. It seems as though he is going around giving all these criminals a false sense of power, just for them to self-implode with that power. It will be interesting to find out what his end game is. That last panel with his enormous self-imposing self, consuming the space of the panel as he stood over a bleeding out Penguin, truly captured the horrific essence of his character. Oh and I haven’t even talked about what went down with Jim Gordon. First of all Greg Capullo once again nails it with those actions panels. Cinematic in scope, you get a real sense of the chaos that is going down. Anyways after Jim makes his meta Robocop joke he gets trapped and looks like he’s being burnt alive. I’m sure he’ll be fine, but will we see the continuation of this resurrection theme and see Gordon rise from the ashes as a new and improved Batman?????? Overall Batman #43 was another really intense issue that gave us the answers to a few questions, but also gave us a lot more questions to ponder on. I’m still not 100% on board with this new brain Bruce Wayne, and really it depends on what Scott Snyder does in the story to bring him back to his natural state. Mr. Bloom is shaping up to be a truly horrifying character which is great to see, so it will be interesting to find out more about his back story. Another great issue! 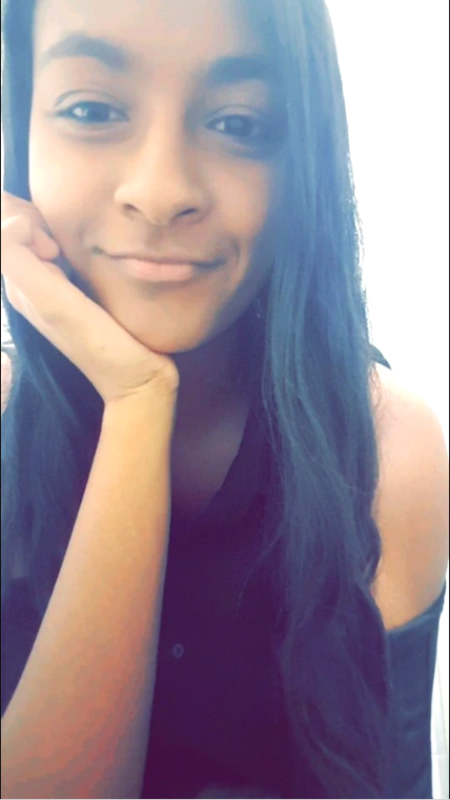 8.3/10.